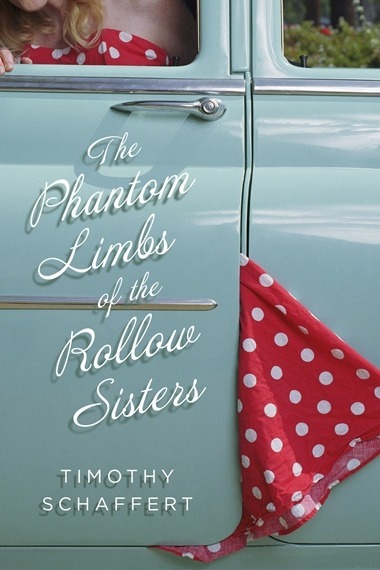 Renowned author Timothy Schaffert’s celebrated debut novel, reissued here in an entirely new paperback edition, chronicles two sisters on the cusp of womanhood as they struggle to understand their father’s suicide as well their mother’s abandonment of them many years earlier. On graduating from high school, the sisters are once again set adrift, this time by their grandmother who leaves them for Florida. In order to survive, and perhaps even thrive, on their path to adulthood, they must learn to reconcile their pasts and discover how to depend upon themselves as well as on each other. In a story that rises out of the spare Nebraska landscape, Schaffert delivers a redemptive tale about two young women searching for wholeness and love. Mabel watched her sister Lily put on lipstick in front of the mirror of the decades-old nickel bubblegum machine. Sometimes Mabel wondered if she’d been separated at birth from her real sister, for Lily and Mabel shared no resemblance. In a fairy tale, Lily would have been the fair sister of goodness, goldilocked and rosy-faced, and Mabel the nasty one, made up of pointy bones and think skin and a hank of black hair.